On this page we will share all the exciting things that are happening with BeColourful. 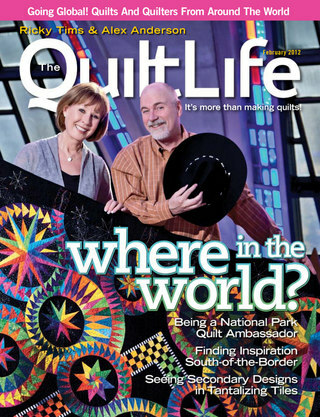 This includes publications in magazines or in newspapers, or posters showcasing Jacqueline's quilts. Just everything we want to share with you. 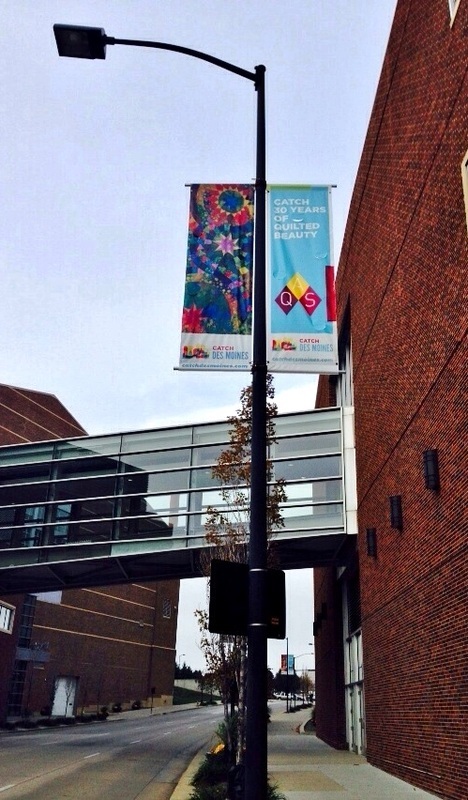 Feel free to email us if you see any BeColourful related news! 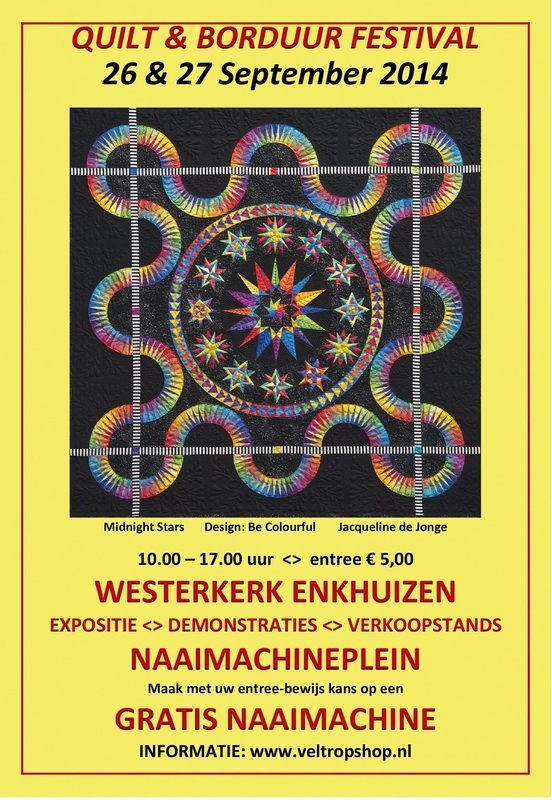 "Haagse dingen", the media network of the city of The Hague, made a video of the Patchwork and Quilt days in Rijswijk. Rijswijk is a part of The Hague. In this video you'll see an impression of the Quilt show, the booths and, most important of it all, Miss BeColourful: Jacqueline de Jonge. 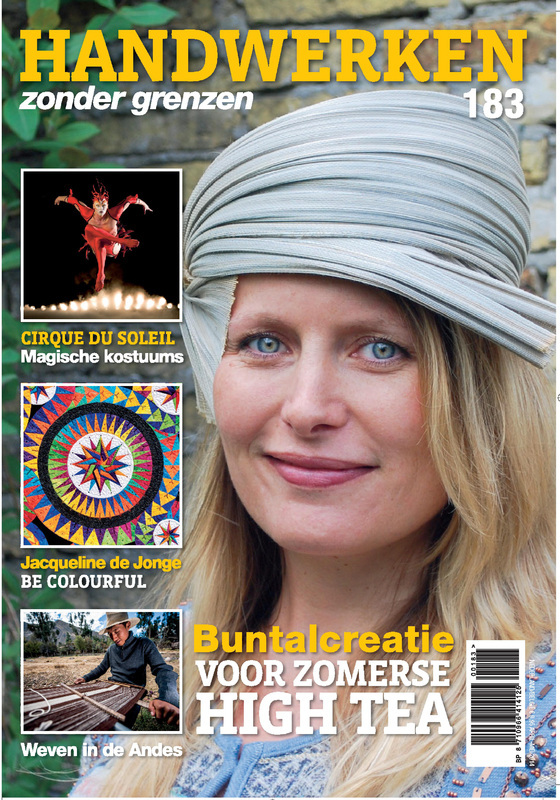 You'll see an interview with Jacqueline, in Dutch (I'm sorry for that) where she tells you all about the start of BeColourful. It's so great to see this! Note: There's a subtitle button on the video, which generates subtitles in the language of your choice. 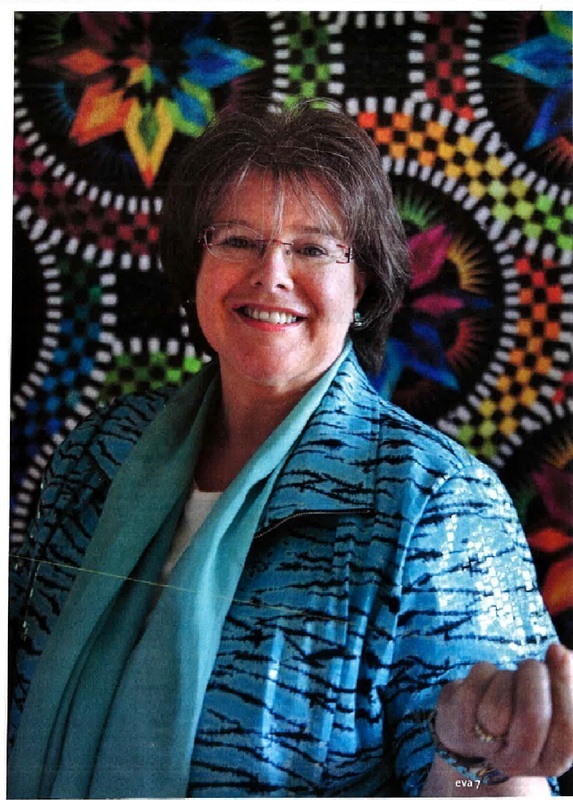 In April 2014, Jacqueline was invited by the organisation of the Patchwork and Quilt days to a show to celebrate 10 years of BeColourful. Jacqueline was asked to show ALL of the quilts she has made in the past 10 years, which are lots of quilts as you know! So we started collecting. It was not an easy job to get all the BeColourful quilts together at the same time, because a lot of quilts are in the USA, in stores or in private collections. Some quilts needed attention, other quilts needed to be upgraded with some, or better: lots of Swarovski crystals. The end results is amazing: 10 years of BeColourful and more than 50 quilts. Enjoy the photo video! 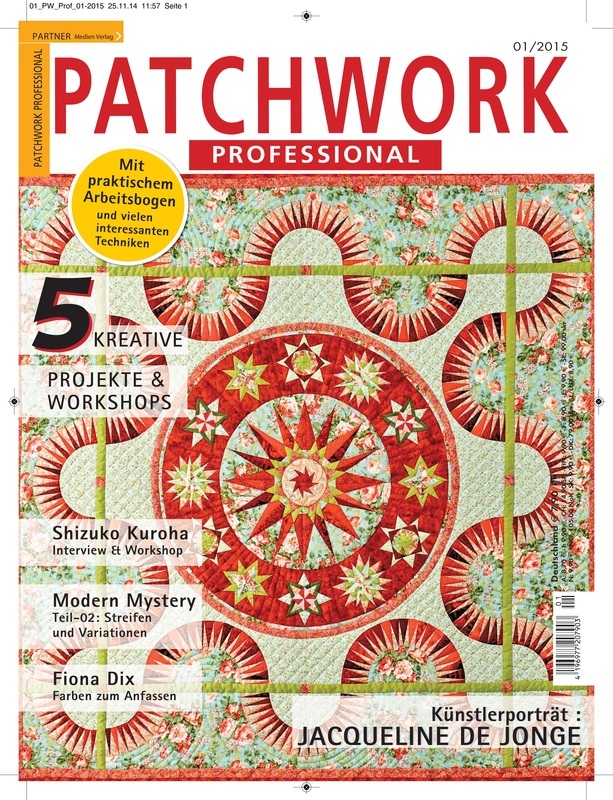 Article in a German Quilt magazine; 01/2015: Patchwork Professional with pattern: "Sweet Melody". 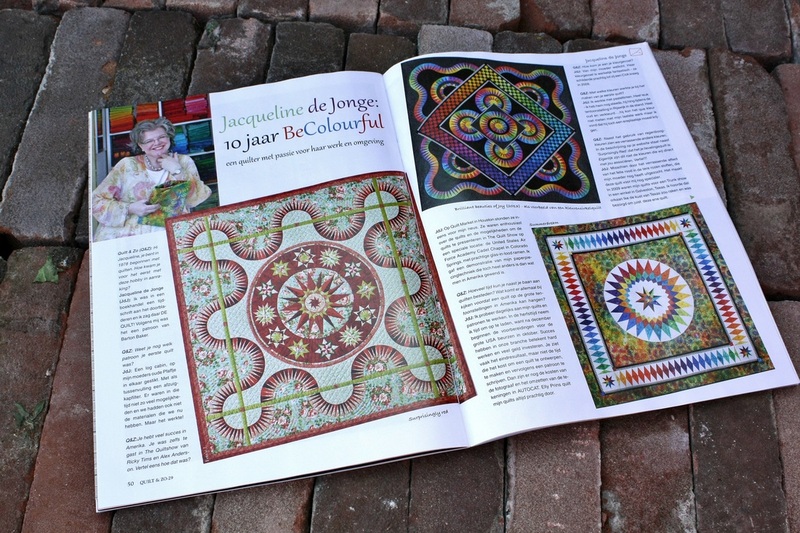 "Jacqueline de Jonge, 10 year BeColourful"
Quilt & Zo; no 29, 2014; a 8 page article with pattern: "Sweet Melody"
"10 year BeColourful; an anniversary full of surprises"
Move over Delft pottery, move over Vermeer–there’s a new artist in town and she’s designing quilts. 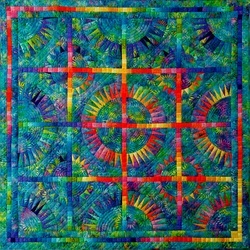 Now, some 31 years later, Jacqueline creates and designs her own quilts. Her designs are sold all over the world and are a big success, especially in the US. 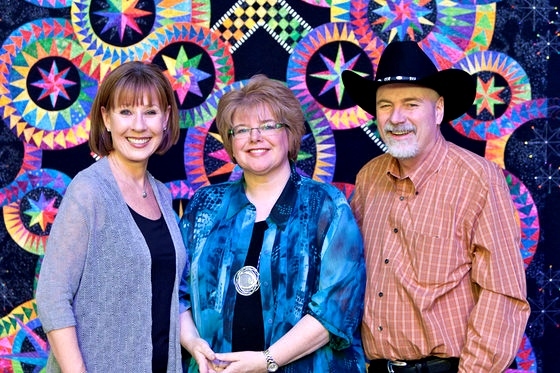 American quilters travel to the other side of their country to attend workshops by the Dutch extraordinaire, Jacqueline de Jonge. 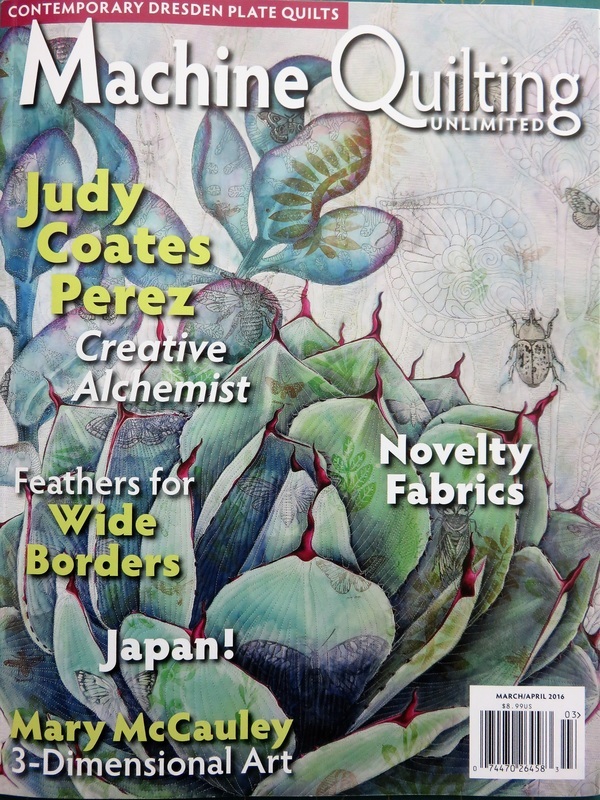 In short Jacqueline is ‘hot’ in the quilting world. However, it wasn’t an instant success story. In her daily life, Jacqueline is a medical secretary at a cardiology department in a hospital. She enjoys her work a lot, but Jacqueline is a perfectionist. She enjoys being a conscientious working with eye for detail. In 2003, this took its toll and Jacqueline suffers from a burnout. “I had to stay home for a couple of months. 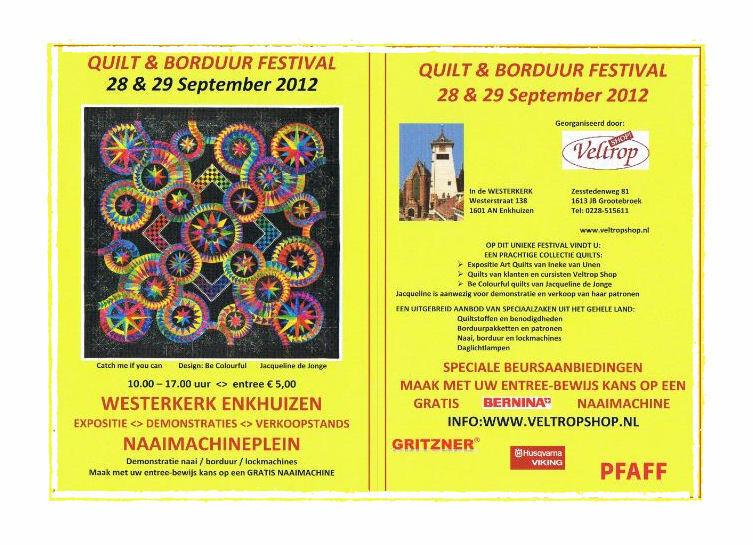 That was a difficult period, but I noticed that working on the quilts made me calm and relaxed. 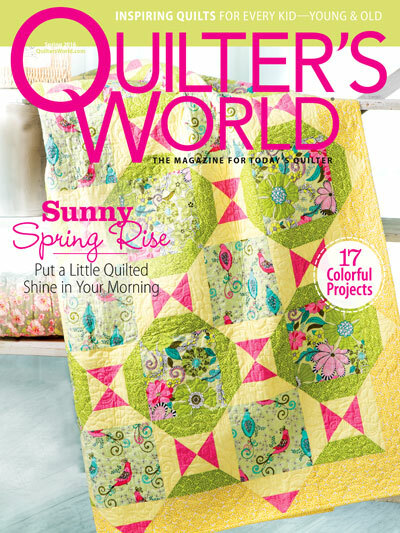 Quilting brought happiness back into my life.” Her perfectionism equips her to deliver beautiful quilts. “Everything comes together in quilting. 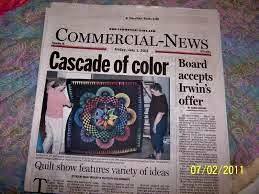 I can just let myself go when I’m quilting”. They placed an order for 400 designs. Jacqueline starts copying the designs with help from her family. When more and more orders keep coming in, she decides that she has to manage it more professionally. Now more than 110 stores sell her designs in the US, Canada and Germany. As soon as Jacqueline starts talking about designing quilts her eyes sparkle. It is her big passion. “I can talk about it the whole day and do it 24/7. I often get inspired by the fabrics. The colour, the shape, even the hubcap of a car can inspire me. I work a lot with round shapes. My quilts have a high difficulty level, they have to be a challenge. I start by making a sketch. My brother in law translates this into a digital version on the computer. I already have the basic fabric in mind when I receive the design at home. I place the fabrics on the table and then the process starts. I don’t have to think about it, it goes automatically. I play with the fabrics and run to the sewing machine. In three weeks I am done with the top layer. Move over Delft pottery, move over Vermeer–there’s a new artist in town and she’s designing quilts.The historic city of Delft, the Netherlands, charms visitors with its cobbled streets, canals, bridges and shops. Throughout its rich history, the City of Delft has always been associated with art. Its fame includes distinction as the birthplace and hometown of oil painter Johannes Vermeer (1632-1675) and of Delft Pottery, which has continuously produced unique blue and white pottery since 1653. Today a new Delft artist, Jacqueline de Jonge, has precious little time to stroll the streets of her beloved hometown. 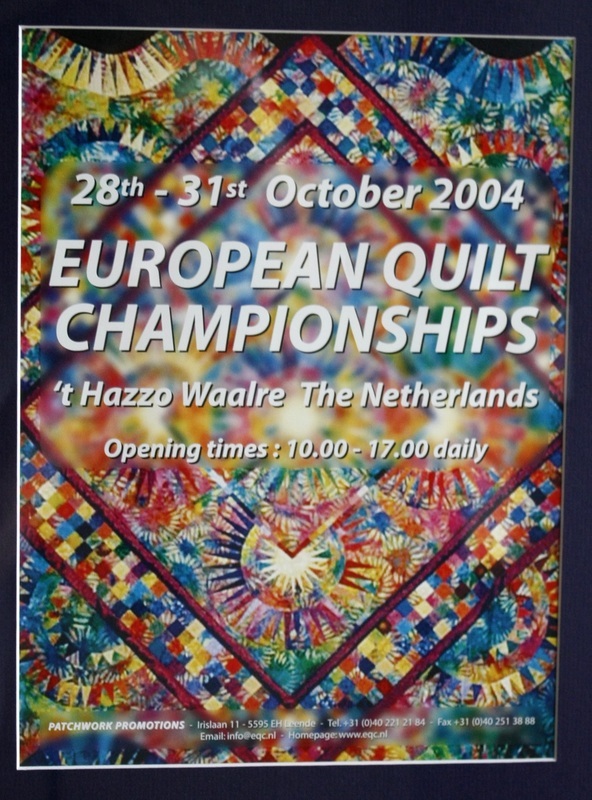 But like Delft Pottery and the paintings of Vermeer, her work is drawing international attention–this time in quilting.Acknowledging that she’s “a little bit famous” in the Netherlands and that her paper-pieced quilt patterns are selling well in Europe, Jacqueline is nonetheless surprised at her growing success in the United States. 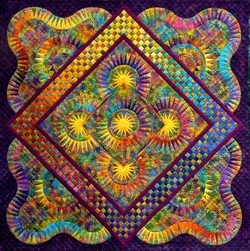 First offered to U.S. quilters in April of 2006, her quilt patterns incorporate familiar elements from traditional designs, but are presented in punchy contemporary colors. 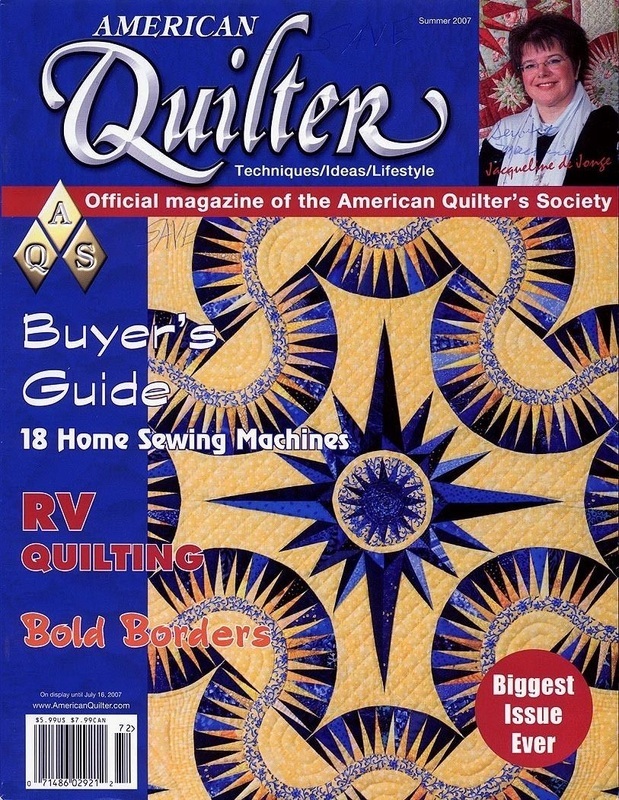 Read more: American Quilter Magazine, Summer 2007. You can copy and paste this link for the full article. Sometimes a person is at a cross road. The road you take can lead to great consequences. For Jacqueline de Jonge from Delft one of those moments came along in March of 2003. 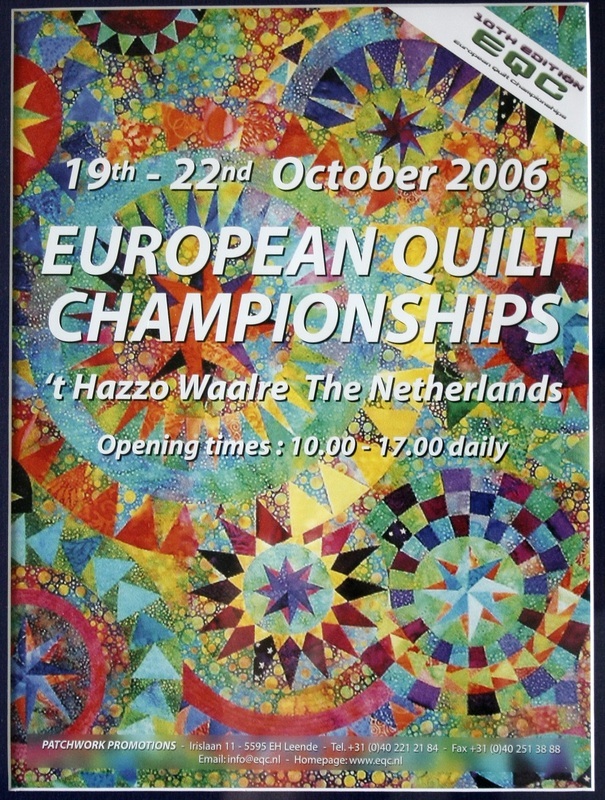 A small article in the Dutch Daily about a European Quilt Exposition in Waalre would change the course of her life. 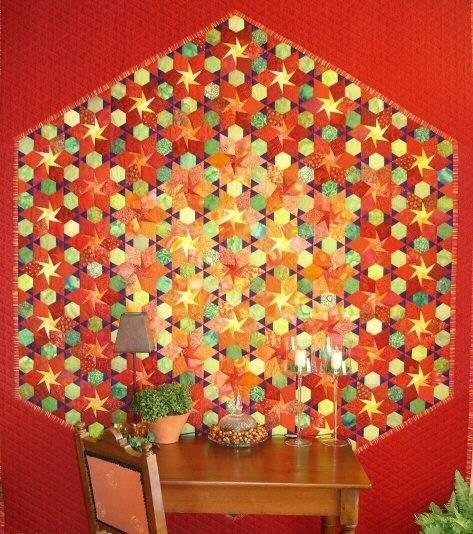 Jacqueline de Jonge had already been quilting for years, and family and friends were generously supplied with colorful wall decorations. But to bring it out into the open; she had never thought about that. Until she saw that little article in this newspaper. Before she knew it, she was already looking for the right fabric and designing something that was growing in her mind and on the wallpaper. Seven weeks of intensive measuring, cutting and sewing followed. 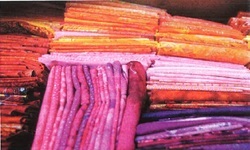 The result was a quilt from which the colors jumped off, full of joy. In the fall of 2003 her work piece was hanging at the exposition with the very appropriate name of “Joy”. And not only that, she even won a price for the best color combination. One thing would lead to another, an exposition here, admiration there and the demand for patchwork patterns to recreate her quilts. Jacqueline’s quilts have their very own style. With remarkably many peaks running up into triangles, the so called New York beauties, many small surfaces and a beautifully balanced colour choice. When a quilt hung in a store display, you could bet that people would ask for the pattern. Last year in April Jacqueline started her own small business: Be-Colourful. That meant a new challenge: how do you work out your patchwork patterns in such a way that they will be clear to someone else and look professional? How much does it cost, how many do you make, and how do you advertise? Everybody in her environment helped her: a retailer gave her some tips, a brother-in-law made the designs on the computer and both her parents were indispensable with practical help and advice. Jacqueline’s patchwork patterns are now available for sale on the internet and they are also available at 19 retailers throughout the country. Business is going well: at the European Exposition last fall a great quantity of packages were sold. Her life gets busier. The down side of good business is that you have to keep up with it at all times: go to the copier, fold, and pack, send it off. At least she finds the time to design new patterns and to cozy up at night in a lazy chair and do some quilting. Because the joy of working with the fabrics is still the most important to her. In her cozy apartment in Delft, Jacqueline tells her story. Ever since she was a young girl she had always been creative, without specifically having the feeling that her talents were in that area. 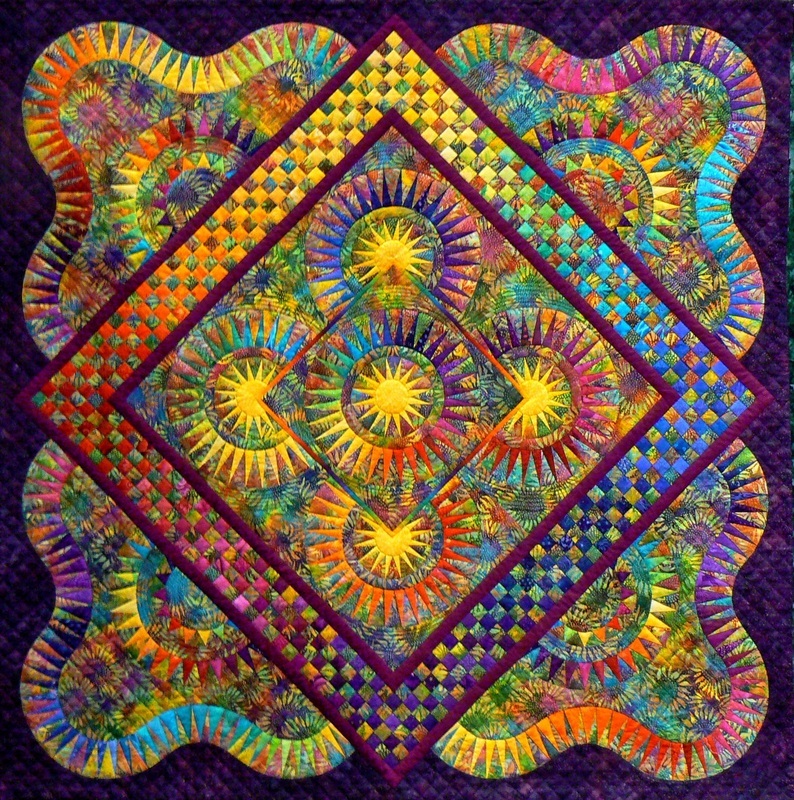 When she was about 18 years old, she started with patchwork and quilting. Jacqueline is a self-made type, and the technique was self taught step-by-step. Her first quilt was pink and blue, done with a coarse stopper needle and obviously a beginner’s quilt. This quilt, even after having faded because of the many washes, is still used as a holiday cloth by her sister’s family. Slowly on, it went better and better, she bought the right materials. Striving for perfection is not unfamiliar to her; she has always been critical of her work. However, according to Jacqueline, you have to be critical if you want to make a beautiful, taut cloth without disturbing deviations. 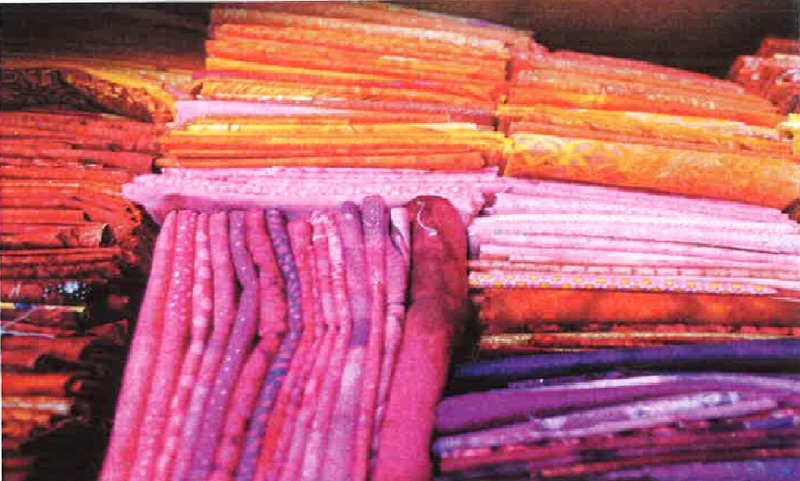 After a vacation in Australia she had such an abundance of fabrics, she couldn’t find enough interesting patterns. So she started to design her own quilts. Lots of wall paper was used because it is the ideal material to draw a patchwork pattern on. Those rolls of wall paper, preferably made of vinyl, she still uses them. Once she starts making a quilt, there is no stopping her. She makes the right colour combinations for each quilt on a large flannel board. She assembles it, sewing the pieces together on a sewing machine, following the paper pattern, the so called paper piecing. The real quilting, the “kernel”, is done manually. She can sit in her favourite chair for hours, while the quilt grows under her hands and she enjoys listening to classical music via headphones. It can’t get any more relaxing than that. 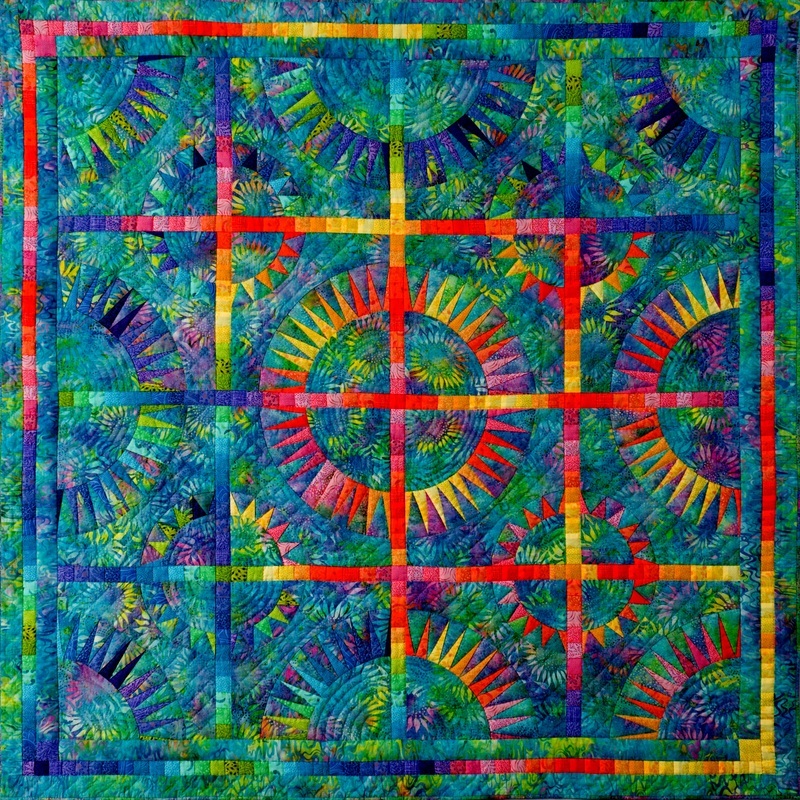 When asked if her way of working is considered to be the free traditional art of quilting, Jacqueline says that she works with the traditional patterns, but then in a modern twist. She doesn’t make small quilts; she prefers working on a large scale. Her newest quilt, Twinkle star, is a huge wall hanging with a hexagon full of colorful small figures against a red background. A quilt which once again expresses her feelings for colors. The biblical terms for many patterns, like the Jacob’s ladder, do not mean much to her; to her they are empty terms. Quilting does relate to her religion. Not too long ago her life seemed to be consisting of loose threads; lately those same threads seem to be braiding themselves together. She feels great, now that she experiences that being creative is more than just a hobby. The talents she received from God are suddenly growing into full blossom. 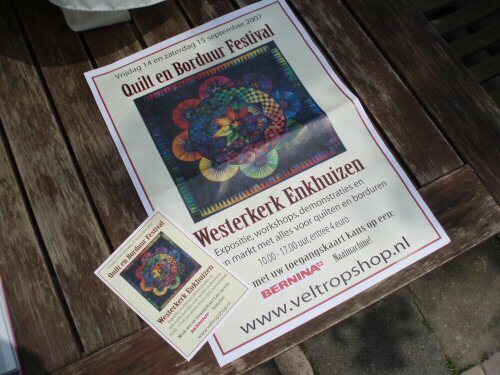 She has set a deadline at April of 2006 to see if it is useful to continue with her small business and the quilting. If things go well, she might be able to work less and dedicate more time to it; if it is disappointing at least she tried and gave it a chance. Until now all goes well. 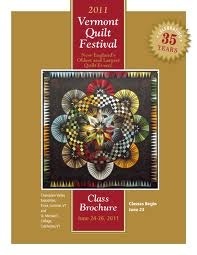 Jacqueline has been invited to go to Houston next fall, to the trade show for the middlemen in the area of quilts. If you think about the fact that in America alone there are some 21 million quilters and a large demand for patterns for experienced quilters; there must be a market there for her designs. There are remarkably many reactions on her website from America and Canada. The preparations for her trip to America have already started. Fortunately, her brother has planned on going with her to assist her with the business part. 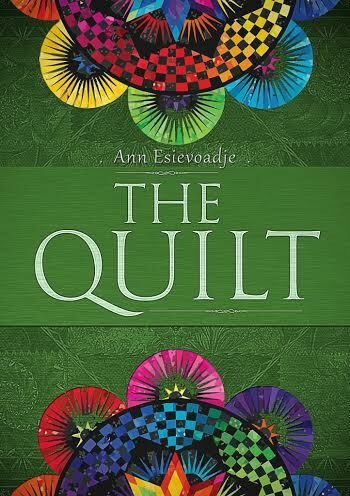 To readers who have already started on the quilting path, her advice is: first, go to a basic course on patch working and quilting and enjoy relaxing with this hobby which you can do at any time of the day. 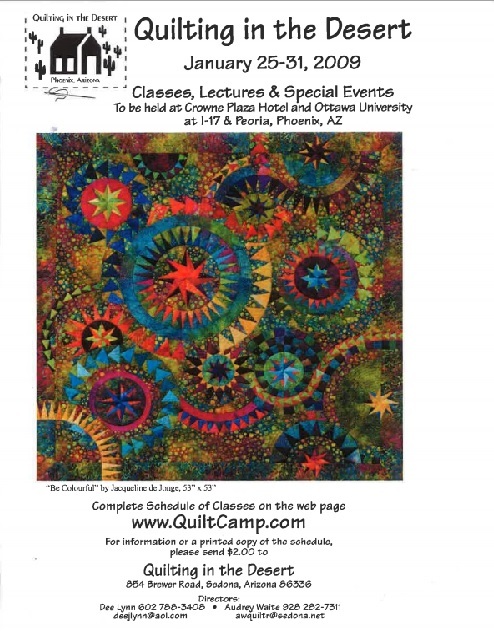 And almost every town or city has a group of enthusiastic quilters and the possibility to attend a course. Jacqueline herself gives a workshop once in a while on designing a quilt or dealing with the difficult corners.